Used a groupon deal - and added a chemical cleaning after discussing the situation of the previous owner being a heavy smoker. As we are renovating there were tonnes of drywall dust etc in the ducts which they cleaned out. As we are in the process of changing furnace they offered to come back and re-do the work for free just to make sure no loose articles will be going into the new furnace and our system be clean as a whistle. The two guys were very polite, professional and suggested many things through-out the process. It probably took 2-3 hours (didn't time them) and I have already recommended them to my friends. Thanks for your review! We appreciate you choosing Modern PURAIR, and we look forward to servicing you again in the future! I contacted Phill for his opinion about our home during our renovation. He identified several electrical issues from the previous 'handy' homeowner. Phill is very easy to get along with and trust. We decided to use Splice Electrical for both our reno phases (main floor and later basement development) and he is very reasonably priced! I would recommend Splice to anyone that need to do some electrical work, be that residential or industrial. With this very delayed response, I will claim that I am better at electrical than social media. Thank you for this very favorable review. For full disclosure I would like to identify that instead of industrial work I do small commercial jobs. Staff very friendly and helpful. Prices very reasonable for the quality of work they are producing. We need more work done later incl HVAC and gas and we will very likely use them for this. Thank you Stafan for taking the time to write a review to HomeStars. 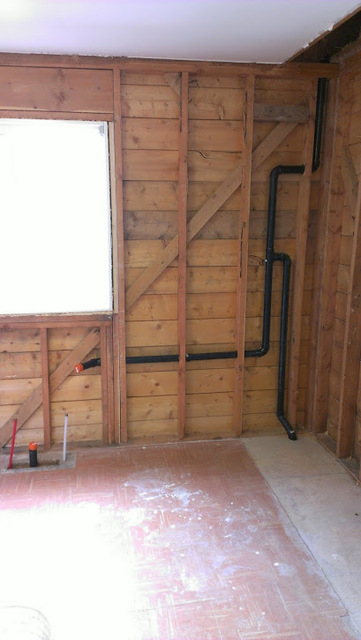 We look forward to hearing from you and helping with any future plumbing needs.